South Carolina Embroidery operates multiple state-of-the-art manual and automatic press configurations to provide our customers with high quality products without having to sacrifice low prices and a fast turnaround time. 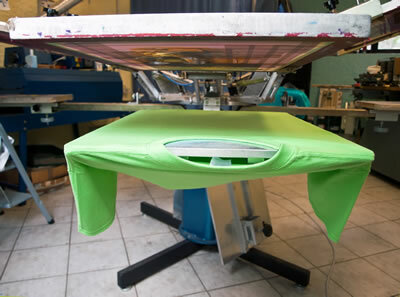 Our printing process is a much higher quality process than simple t-shirt transfer equipment can offer, and at a lower price. We are a automated shop which allows us to provide a quick turnaround time on your orders! Our in-house professional designers can help you design your art, or simply prepare it for printing and embroidery.